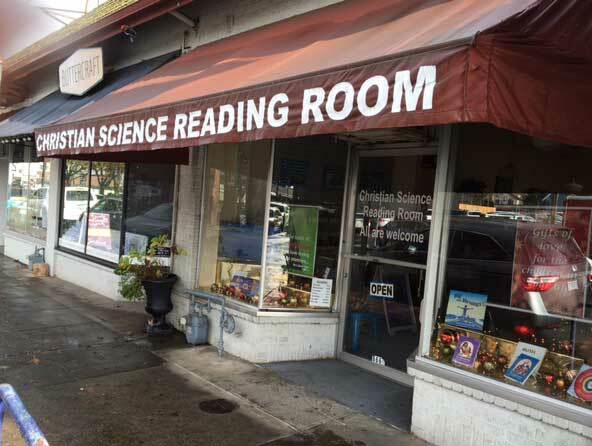 The purpose of the Christian Science Reading Room is to serve the community, and all are welcome to use it. It's a place that warmly welcomes you to learn more about God and your relationship to Him. 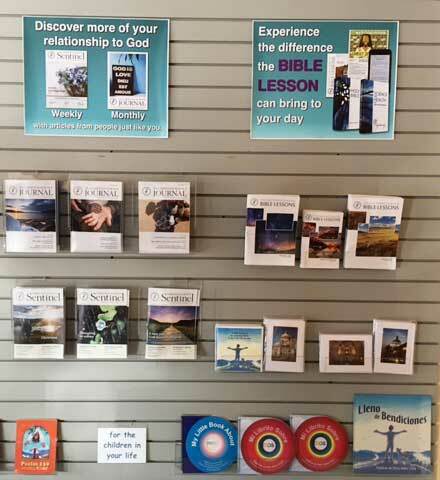 Come in and discover the resources to help you on your spiritual journey. You can read and listen to more than 100 years of articles, testimonies, and recordings that give first-hand accounts of physical and moral healing through prayer. 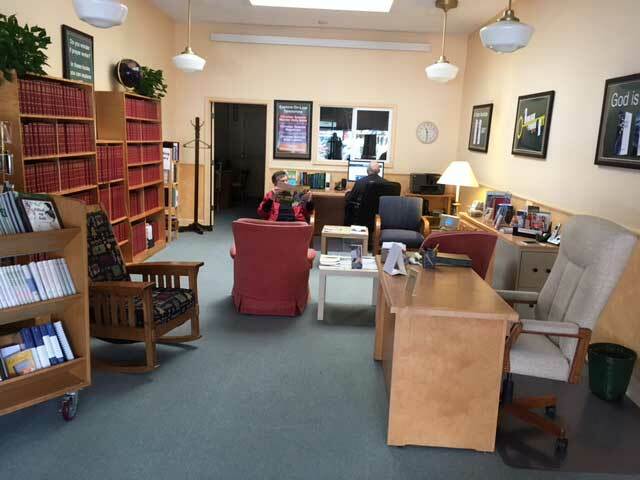 Many people enjoy the peaceful, quiet atmosphere in the Reading Room. 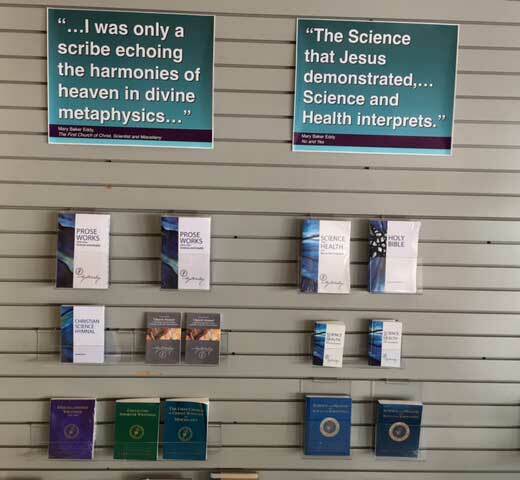 There are Bible reference materials, all the writings published by the Christian Science Publishing Society, and much more. Customers use our online databases to find helpful testimonies, articles, and recordings giving first-hand accounts of healing. These tell how individuals have overcome every kind of challenge including physical, mental, and emotional problems, as well as issues in employment and relationships. Let these resources support you in a deeper understanding of God’s love and the healing that it brings. 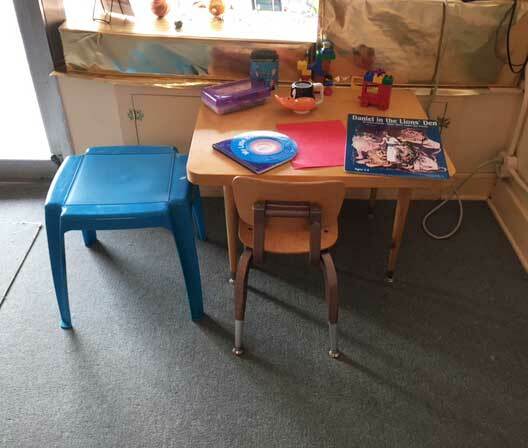 Our Children's Corner welcomes young readers and offers a wide variety of materials appropriate for the young. Featured items are the Ten Commandments, Beatitudes, children’s Bible stories, and musical CDs. "Heal the sick, raise the dead, cleanse the lepers, cast out demons." 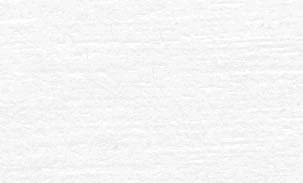 (Matt 10:8 revised version of the Bible) The Cross & Crown Jewelry isn't sold in our reading rooms, but is approved and licensed by The Mother Church, and part of each sale goes to The Mother Church. You can purchase these pendents at C.S. Cross and Crown Jewelry.